This is a collection of artworks, texts and resources about freedom and openness in the arts, in the age of the Internet. Freedom to collaborate – to use, modify and redistribute ideas, artworks, experiences, media and tools. Openness to the ideas and contributions of others, and new ways of organising and making decisions together. This non exhaustive collection is intended to inspire, inform and enable people to apply peer-to-peer principles for making things and getting organised together. We hope that all art lovers, makers, thinkers, organisers and strategists will find something for them from this set of imaginative, communitarian and dynamic contemporary practices. Artistic practices inevitably develop in parallel with global technological cultures. Stimulated by philosophical, social and ethical debates, contemporary art workers – artists performers, curators, directors, organisers – adopt the digital tools as well as the processes and metaphors that enable and inspire our networked age. Free and Open Source production methods emerged within software development communities as a way to work better, smarter and freer. As the Internet connected engineers and their computers wih each other they developed peer-to-peer working methods to learn, create and share knowledge and code with each other, fast, and across, social and geographical distances. The fact that software could be developed and tested in a modular way (in very small chunks) meant that lots of programmers could collaborate fluidly on large and complex projects. Retaining the freedom to use the software they produced collectively was crucial. Productivity and technical innovation increased exponentially. And today we see Free and Open Source software adopted en mass around the world by individuals, communities and governments alike. Many art workers have experimented with (and developed) digital processes and tools for production and distribution. They have explored new avenues of imaginative expression: incorporating complex interactivity, proliferating sumptuous software-generated forms and sophisticated and dazzling audiovisual effects. They have also challenged the hype surrounding digital technologies, working with the content, protocols and tools of mass networked media and communication to question utopian propositions, drawing attention to the darker side of our technologically mediated world – where 'friends' are accepted and rejected at a click of a button, mass surveillance becomes the norm as does runaway consumption. They offer new perspectives on emerging social relations and in so doing, start to transform the role that the arts play in the world. Questions of ownership, control, gate-keeping and value have come to the fore. In the visual arts, an emerging digital culture – of copying, remixing and redistributing – collides with more established notions of the unique art object (or commodity) produced by someone of rare talent and insight. In technical cultures 'copyleft' licensing assures the principles of free use and distribution are always retained while 'permissive' licensing allows limits to be placed on how code may be used by people in the future. Artists and technologists alike are asserting alternatives to the prevailing economic models – privileging collaboration and free expression over traditional copyright and intellectual property. New forms of licenses and high-profile court cases proliferate surrounded by heated debate. Intersecting art and technical cultures is not without its challenges. And the concepts and processes of engineers do not map directly or neatly onto artistic production. Coders know when something has worked – they use the same tools to test the product as they do to create it and distribute it. The economic contexts and market operations are different for engineers than for artists. The needs and expectations of their customers, clients, audiences, participants have little in common. Yet work continues in this field and indeed encounters strong historical precedents. Audiences and participants will find the most engaging work in this area resonates with a variety of artistic developments through history, generating innovative and compelling visions of the contemporary condition. Bertolt Brecht's contribution to theatre and redefinition of art as a hammer to shape the world rather than mirror to reflect it, inform contemporary community-based collaborative theatre and artistic tactical media alike. Artists appropriate, remix and hack consumer technologies and popular media in a way that harks back to the anti-art and institutional critiques of Dada and to anti-spectacular Situationist antics. Fluxus develops playful Intermedia practices and the Conceptual art movement turns the artwork into sets of instructions or relational experiences. Joseph Beuys expanded the notion of the artist, saying that “everyone is an artist”, indicating an emergent understanding of distributed human creativity and the increasingly participative nature of works that succeed in bringing the audience ever closer or involving them in their production. Today's artworks can surprise audiences by intervening in their everyday online spaces, making them at times either conscious agents or unwitting participants and performers of the work. The shift in the conditions of the working/playing artist are hard to overstate. The Free and Open Source revolution has massively increased the potential sociality of the artwork and its artists/participants/audience. Online images, video and sound materials are available for all – to draw on and contribute to. These range from archives of film that have been lovingly preserved, digitised, categorised and contextualised by experts in large public institutions, to fast-growing banks of photographs, video and sound uploaded by diverse individuals from around the world. Content is findable via tags (user-generated keywords) and searchable descriptions. Not only this but the emergence of digital communities and social networks create a conversation around and through the work. Once you have familiarised yourself with how different licenses work (see the section on licenses) you will be ready to share, remix, reuse, transform and re-share the content you find- Legally! We present essays, artworks, projects, podcasts, free media resources, tools, guides to tools and licences as well as case studies showing you just what can be achieved by working in this way. All have collaboration and Free and Open Source culture at their heart. Essays & Interviews: opinion pieces and introductory articles by leading contemporary thinkers and practitioners offer insight into key areas of theory, practice and production. Radio Interviews with artists, musicians, technologists, community-builders and educators are available as podcasts. Artist Projects. Amongst the collection of artworks and projects, a number are intended to be explored online – some seek your participation – others document projects that take place in community workshops or in physical public space. This way of working also typically challenges the traditional idea of the artist as lone-genius. Glossary. The accompanying glossary of terms is intended to ease access for everyone, from the curious novice to the committed enthusiast. Lawrence Bird provides an in-depth interview with Michel Bauwens, founder of the Foundation for P2P Alternatives. Focusing initially on how peer-to-peer production sits outside established market systems, Bauwens talks about the ways capitalism might respond. From out of the 'broken feedback loop' between the creation and realisation of value, he registers the emergence of an important seam of socially engaged art forms leading the way in forging new modes of production. And ultimately, bound up in the relational structures of contemporary digital culture, he identifies the many possibilities of entirely new communities, cultures and types of creativity. Mark Hancock looks at Rob Myers' Shareable Readymades, which combine open source culture with a new perspective on the idea of original and copyrighted artworks. As Hancock discovers, the result is a project that explores our consumerist ideas about owning art, alongside the way the Internet changes our relationship to production and sharing. Artworks are also found to be no longer constrained by time and space. Access to the raw data of the source file might be all that is needed to create them and a new version of art history. Read Disrupting the Continuum on this wiki. Saul Albert founded the University Of Openness, the ever-popular hacker event Dorkbot London, and now runs The People Speak: a project based around game shows and other participatory media forms that really get people talking. Here he writes about the practicalities of applying open source ideas to art (just a year after the phrase itself was first coined). Joy Garnett is an artist and blogger based in New York. Her gestural paintings depict dramatic scenes from images found on the Internet and her blog NewsGrist is a great source of up-to-the-minute information on free culture issues. Here she writes about how the idea of open source relates to her paintings and art production more generally. Jon Philips has worked for Creative Commons as well as for the company producing StatusNet: an open source Twitter alternative. He founded the Open Clipart Library and the Open Font Library and is now working on 3D printing tools. Here he writes about the precedents for and ideological implications of making open source art. Rob Myers is an artist, hacker and writer. He's a regular reviewer on Furtherfield and an Art and Humanities Community Ambassador for the Open Knowledge Foundation. 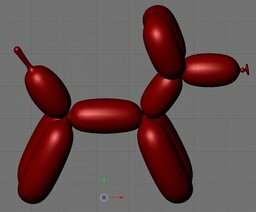 His Sharable Readymades project - and specifically the timely "Balloon Dog" open source 3D printable. Here he writes about the complicated notion of open source art. Sal Randolph's art is concerned with social architecture and gift economies. Projects such as the Free Biennale, Free Manifesta and OpSound have involved hundreds of people in temporary or ongoing systems of free exchange and public performance. 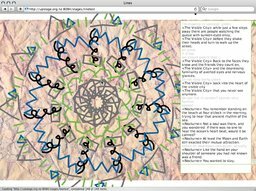 Here she writes about the ethical and anthropological lessons offered up by the application of free and open source software in art. Jon Ippolito is an artist, curator and new media scholar who explores collaboration and networking enabled by digital technology, informed by an abiding interest in the legacy of conceptual art. Here he explains the philosophy of why art must be free (free as in free speech) and describes some practical ways of making this happen. 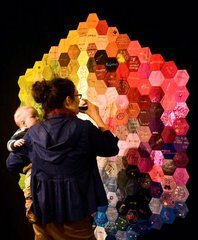 These live interviews from the regular Furtherfield show on Resonance FM, London's art radio station, have been selected for their focus on collaboration and Free and Open Source culture. Artists, musicians, programmers and community activists, working at the edge of contemporary practices in art, technology and social change discuss artworks, events, community initiatives and controversies, exhibitions and their social contexts with hosts, Furtherfield's Marc Garrett, Ruth Catlow and Charlotte Frost. “Anyone can walk into Access Space and start getting creative with trash technology and free software”. This inspirational Sheffield-based organisation is the longest running free media lab in the UK. It provides its users with free access to technology and related learning as well as the opportunity to get creative and to meet other practitioners and like-minded individuals. Access Space says that its longevity and effectiveness are due to its innovative, sustainable model, which combines Free, Open Source Software and locally recycled computers with the collective intelligence of a skill-sharing community. “Cross-media...the possibility to place content and information in the physical world, on buildings, on bodies, on objects”. Italian artist duo Art is Open Source (AOS) discuss their latest project, REFF (RomaEuropaFakeFactory) which presents itself as a fake institution providing a variety of cultural products. It started out by investigating themes around intellectual property and cultural policy before extending to questions of freedom of expression. They propose the tactical use of location-based technologies and network-oriented practices in enabling people to re-code and write onto the world, creating layers of additional reality expressing individual interpretations of the cities and societies we inhabit. Jake Harries, a sound artist/musician/producer/composer has been making music in Sheffield since the 1980s with a strong focus on Media art and the practical application of Open Source audio-visual software. On Resonance FM, he talks about his Free Audio-Visual Tools Research (FAVTR), a two year research project into what people can do with Open Source audio-visual software on recycled computers within a community context. The project started with organising open and practice-based workshops (at Access Space where Jake works as Art Programmer) through to building a machine and forming a community band and playing live at various festivals around the North West of England. London-based artist Lottie Child discusses Street Training, a project to develop a set of skills for urban survival in the 21st century. Events are open to the public and by meeting in urban settings, so-called ‘street trainers’ develop people’s awareness of the effects their thoughts and behaviour have on their surroundings and devise new strategies for a more socially-aware occupation of the urban environment. Child proposes that by exploring the potential of our considered and instinctive behaviours together we can reshape our environments, reconnect and have more agency in the world we live in. (Sol LeWitt, ‘Paragraphs on Conceptual Art’, Artforum, June 1967). 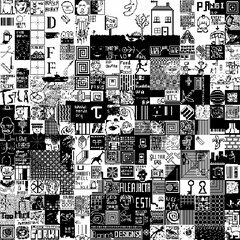 Artist, writer and hacker, Rob Myers, makes artworks and projects about contemporary society using free software. Here he discusses Free and Open Source culture and the different ways it supports collaboration and freedom from censorship for contemporary artists. He talks about his social media artwork the cybernetic artworld and his new series of shareable DIY ‘readymades’. This is where recipes for iconic art objects from the history of appropriation and remix culture can be freely downloaded and sent to 3D printers so anyone can receive their own remade readymade through the post. This interview touches on questions of how artists live in a post copyright world and potential uses for art-related open data. Space Makers work with all kinds of people and organisations to create sociable spaces and sustainable local economies developing new ways of thinking about the locations in which we live, work and play. In November 2009, they launched a one year project to reanimate twenty empty shops at London's Brixton Village indoor market. Hundreds of artists, performers and local people got involved in a rolling programme of pop-up shows and events. As a result, shops which had been empty for years are now let to new independent local businesses, while the presence of 198 Gallery, Viewfinder Photography Gallery and Brick Box continues the legacy of the market as a space where art meets everyday life. Anonymous Italian artist, xname discusses Virtual Entity, a research project with an enigmatic Net artwork at its centre. A simple piece of software created by the artist enables users to create (and edit) the 'soul' of any file on the Web by writing and rewriting its metadata (the set of information that describes a file's content and makes it findable). The project subverts more traditional approaches towards digital property and identity. It suggests that by assigning a soul to a file it becomes an independent creation, living a unique life and experiencing levels of transformation in the course of its virtual existence. Balloon Dog by Rob Myers forms part of a series of shareable DIY 'readymades' for an era of digital copying and sharing. Andy Deck's Glyphiti is an artistic experiment in extending the reaches of public art. Love, Piracy, a work by artist duo Ambient TV (Manu Luksch & Mukul Patel), is about censorship politics. 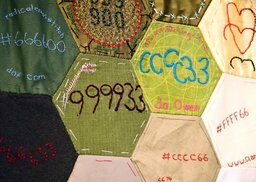 Based around needle and thread, rather than screen and keyboard, artist-curator Ele Carpenter has established itinerant sewing circle, Open Source Embroidery, to literally and metaphorically thread its way through the seams of craft and code. Created through Art Is Open Source and FakePress (other projects by artist duo Salvatore Iaconesi and Oriana Persico. ), REFF (Roma Europa Fake Factory) self-consciously perform a range of apparently institutionalised activities across the arts sector. Provoked by the work of an Italian organisation who apparently misunderstood the collaborative ‘mash-up’ nature of digital culture, they established projects experimenting with remixing, re-enactment and fakery. This virtual-world game created by Simon Yuill invites people to playfully test out different societal models. Avatar Body Collision is a performance troupe incorporating its virtual and physical presences into globally-distributed 'cyberformances'. To develop this unique practice they created the open source platform UpStage. The Internet Archive is a non-profit organisation offering everyone - from dedicated scholars to the general public - free access to historical collections that exist in digital format. The Archive now includes text, audio and moving image-based materials as well as software and archived web pages. They also provide various adaptive technologies to allow greater access for the blind and people with other disabilities. Flickr is an online photo management application that allows you to store and share photographs online. It provides you with the facility to upload your work under a range of Creative Commons licenses, providing useful information on all the different types of licences available and even allows you to search through content categorised by license. The Freesound Project supports an open and collaboratively created database of sounds, all released under the Creative Commons Sampling Plus License. You can up and download sounds and interact with other sound-artists via the site, which is strongly encouraged - along with archives from various institutions - to help expand the database for future users. 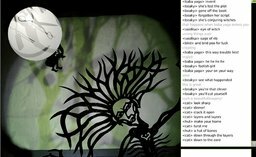 Open Source Cinema lets you create videos online by remixing media stored on your own computer as well as adapting the types of works you might find on sites like YouTube and Flickr. You can connect with the broader site community by sending personal messages, commenting on remixes, or even joining each other's projects. The Prelinger Archives hold approximately 2,000 public domain films, available to download for free. They collect, preserve, and facilitate access to films of historic significance that can't be accessed elsewhere and actively encourage you to further share the films which can be reused and reproduced (in whole or in part) anywhere in the world. Derivative works become the property of the producer and can be performed, published, reproduced, sold, or distributed in any way without limitation. puredyne is Free operating system that provides users with a live multimedia desktop environment that can be booted from a CD, DVD, or USB stick. It supports streaming, audio and visual media and runs on most computers. Designed to be suitable for live performances and art installations it is customisable by artists to support their own project needs. Started by Aymeric Mansoux, and for a long time, exclusively developed by members from the GOTO10 collective, it is unusual in that it is maintained by media artists for media artists. GOTO10 run regular workshops with artists, in which the use of puredyne simplifies the teaching of Free software in contexts where installing new software is otherwise problematic, such as many universities or community buildings where computers are often locked down. Wikimedia Commons is a database of almost 10,000,000 freely usable media files to which anyone can contribute. Here, however, you are also allowed to modify media files (as long as you follow the terms specified by the author). Content ranges from that provided by large public institutional collections to individual artists - and the onus is on you to contribute your work, time and skills to improve the site. The Progressive Publishing System from Skyscraper Digital Publishing is still in its developmental phase, but ultimately aims to provide a means for quick and seamless publishing across a range of platforms. Building on metamute.org's existing facility for creating PDFs from website articles, PPS prepares document types for a variety of outputs including a vast array of ePublishing formats. 3D printing turns a digital file into a finished physical object by literally printing it up in layers. As the printers themselves are expensive to own outright, Shapeways facilitates the 3D printing of uploaded digital files (created with any FOSS software) in a range of materials and deliver the final object in up to 10 working days. Another option is to select and order from an existing catalogue of products from designers all over the world. Thingiverse believe that access to digital fabrication tools such as laser cutters and 3D printers is on the increase, and provide a dedicate space to share ideas and designs. Expanding ownership beyond the product itself they support the free exchange of digital files as downloadable product recipes. Bushgreen is an online community connecting theatre practitioners and enabling them to collaborate on and publish new plays online. It's all about giving playwrights more creative freedom in the way they work and helping them connect directly to potential partners. The developing platform even allows users to submit plays directly to the Bush Theatre team to read and consider for production. Culture Hack Day first took place early in 2011. It brought arts organisations together with software developers and creative technologists to engage in group discussion and open up institutional data for creative re-purposing. On the day a variety of engaging digital widgets and data-visualizations were produced and yet more Culture Hack Days are in the pipeline. National Theatre Wales have been building strong relationships with theatre makers, creative practitioners, participants and audiences in and beyond Wales. Through their community blog (http://community.nationaltheatrewales.org/) and discussion forums they're making community decision-making a central part of the way they work, giving audiences a unique and defining creative role. Open Source Ecology is a network of farmers, engineers, and supporters working together to open up access to low-cost and effective farming equipment and processes. These DIY industrial machines (and the ways of using them) can be used to build sustainable living models with plenty of modern comforts - not to mention the project as a whole removes many of the barriers associated with getting into agriculture. School of Everything aims to connect people who want to learn (whether as professional development or simply as a hobby) with those who can teach. Innovating in the realm of education, they offer a range of learning styles and all manner of subjects are covered. Users can browse available courses and find opportunities and things to learn near them while a database of notes, links, videos, images, documents and other materials teaches you how to teach. The Zero Dollar Laptop project team provide homeless-project-participants with donated laptops, remove proprietary software and install Free and Open Source Software. They then support participants in learning how to use and maintain their gifted laptop through self-led creative projects. A Furtherfield and Access Space partnership, it aims to create a sustainable chain of change through free technology and creativity. The Digital Artists Handbook is a highly accessible guide to the tools, platforms and resources available to media artists. A central focus for the book is the ideology and application of Free Open Source Software - which, it advises, can be usefully deployed in facilitating new levels of sharing and collaboration among artists. It was produced by Folly and GOTO10 and features contributions from numerous experienced media artists. FLOSS Manuals are Open Source guides to using Free and Open Source Software. They are collaboratively written by a wide community of regular users (from artists to software developers) and explain anything from how to install and use a piece of software to the ins and outs of, say, designing with an Open Source design tool. The manuals are available in a number of formats and you are free to compile a bespoke guide by remixing chapters according to your own agenda. FLOSS+Art critically reflects on the relationship between Free and Open Source Software ideology and media art. It provides a view of the social, political and economic myths and realities of this phenomenon, focusing on ownership and licensing, as well as the artful production of Free and Open Source Software. With contributions from prolific and high profile artists in the field, it begins to define this emerging area. Grow Your Own Media Lab was a distributed project produced by a group of organisations keen on supporting the wider adoption of media lab-style learning and collaboration techniques. 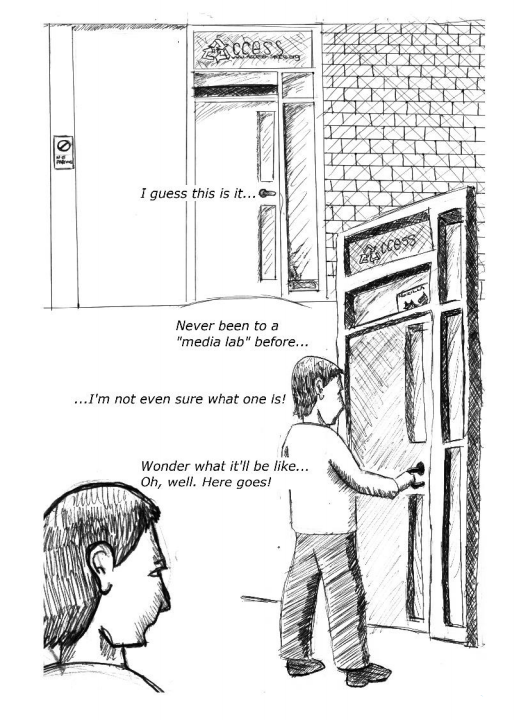 This illustrated guide (available for download as PDF here), complete with drawings by Michael Tesh (and originally published by Access Space in 2008) is not a software manual but a collection of case studies of upstart media lab activity. GIMP is a Free and Open Source image editing program boasting a comprehensive set of tools comparable to those available in many commercial software packages (such as Adobe Photoshop). This document provides an introduction to GIMP features that are of most use to those editing images for teaching and research purposes. In 2009 OpenMute was commissioned to produce Art of Digital London workshops and provide Arts Council England's regularly funded organisations with practical information on how to integrate new technologies into their work, and develop a strong digital strategy. As part of this they established TheKnowledge, a research platform which continues the workshop series online, and aims to become a key destination for those interested in new media-based audience engagement and outreach. To ensure that work is free/open, people should apply a good copyright licence to it. There are two main kinds of free/open copyright licences. 'Copyleft' licences ensure that people (including you) are always free to use the work and works based on it. 'Permissive' licences allow everyone to use the work without passing on that freedom. Copyleft is used by leading community projects such as Wikipedia and GNU/Linux, permissive licences tend to be used more by corporations. Using an existing licence avoids the risk of legal errors and of problems of compatibility with work under other licences. Cultural works shouldn't be placed under software licences (and vice versa) as the way they are used is different. Remember that free/open licences are copyright licences and do not cover moral rights, trademarks, model releases, publicity rights and other restrictions on using work that may exist. There are well-recognised definitions of 'free' and 'open' for software: http://www.gnu.org/philosophy/free-sw.html and http://opensource.org/docs/osd. The leading software licences are the GNU GPL, a copyleft licence, and the family of licences best represented by the MIT licence, a permissive licence. There are variants of the GPL that are worth investigating as well. In addition to the definitions of free and open for software, there is one for cultural works: http://freedomdefined.org/Definition. The best licences for cultural works are Creative Commons ones. But some of its licences are not free/open and so should still be avoided. Creative Commons themselves have identified which of its licences meet the definitions of free and open: https://creativecommons.org/weblog/entry/8051. They are the 'Attribution Share-Alike' licence, which is copyleft, and the 'Attribution' licence, which is permissive. So choose one of these, and specify which one when talking about Creative Commons licensed work rather than confusing people by just saying 'a Creative Commons Licence'. Have a look at the Glossary for Beginners in FOSS Art. Furtherfield is a dynamic, creative and social nerve centre where since 1997 upwards of 26,000 contributors worldwide have built a visionary culture around collaboration – swapping and sharing code, music, images, video and ideas. They believe that through creative and critical engagement with practices in art and technology people are inspired and enabled to become active co-creators of their cultures and societies. They co-create extraordinary art that connects with contemporary audiences providing innovative, engaging and inclusive digital and physical spaces for appreciating and participating in practices in art, technology and social change. This page was last modified on 18 May 2012, at 12:58.